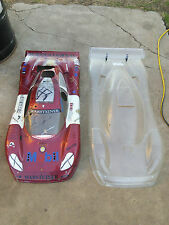 Here we have genuine original FG porsche GT-1 car body. if you have other ways to send i will be glad to oblige! will need finished up. Chassi; V2 FG carbon chassi is used but still lots of life left in it. --engine has extra bracing to stiffen up the chassi and the body roll. (see fotos). --engine/exhaust; zenoah g230rc2(not a chinese crappo!). Here we have a FG F1 competition.this is a barebones. what you see is what you will get. i disassembled this car since the build but it has not ran after i had it all assembled. --the front swing arm bracket is a FREEBIE. Here we have hurrax genuine wheels/tyres, lightly used. 17mm 6 point mount. Here we have genuine original FG honda car body. it is in decent shape. has side stiffners bolted to body. not really pretty and does have wear. you can certainly remove if you hate it. if you have other ways to send i will be glad to oblige! Plenty of life left and wheels are pretty good to be reusable if you need to. 4point mount. Here we have a fg evo. fully functioning and not leaking. Here we have wheel centers from a 3 piece wheel system for 1/5 cars this was ABC (before harm) in the early 90's. what you see is all i have of these. Here we have a new fg bmw m3 gtr dtm RARE. see fotos. still a GREAT BUMPER considering finding one of these is like pulling a tooth! FG shocks for f1 or car. These will fit your fg car no problem! here we have a set of shocks from one of my f1. all 4 function perfect and NO leaking. these are the car size shocks that i run on my f1's because i like. Here we have lauterbacher (will work on FG) 39 and 40t gears (speed!). Here we have a set of FG shocks for 16mm. 66292 and 66293 see fotos for what is included! lightly used set polished. these are filled and ready to install. no leaks as these were mostly on a display car with little use. Chassi is well used but straight and still has plenty of use to it. here we have a FG F1 competition.this is a barebones. what you see is what you will get. sold as is, where is. Used well and do have scratches/scuffs but still usable. Will fit all standard buggy and truck tyres from fg,elcon,hormann and others. can also fit the width adapters. Here we have fg style rear lower arms for car or buggy. the mount bases i am providing NEW so you can bore holes to your preference of height. arms are nice and sturdy! the bushings are good. these will work with the 96.5mm axles or 100mm if you are setting up for a high clearance. Will fit all fg buggy wheels. Here we have fg. 4point mount. Will fit the large 6 point mount of hpi baja ! Here we have a set of functining FG shocks for 16mm. should be rebuilt but still work. Here we have a set of FG shocks for 16mm. 66292 and 66293 see fotos for what is included! Here we have genuine original FG f1 rod ends. m6 or m7 or even m5. m8 is also possible. i can custom make length left and right thread. i have other rods also available that are not listed. --x1 10063 this is for the sportline cars to separate the rod that goes between the gear and clutch bell. FG leopard 2. 2wd chassis plate. Here we have a chassi for a leopard 2. i had used this about 20 minutes in my backyard, then i reworked the car into a 4wd and chassi is different. Very very rare and hard to find! HARM 3mm offset for mecatech brakes front hubs fg or other. Here we have FG front hubs. Here we have parts for FG shocks for 16mm. see fotos for what is included! Genuine Elcon rear alloy arms for FG. No longer made and very rare to find new. These may require other elcon parts to fit. Genuine Elcon rear alloy arms for FG. A pair of left and right arms, 18555 and 18556. No longer made and very rare to find new. These may require other elcon parts to fit. It's that simple. If factory sealed, the item must remain sealed. Fits FG Modellsport EVO Competition. Type: Single row deep groove ball bearings. Lubrication: Low Friction Grease. Balls Cage: Low Friction Steel. Balls: High Chromium Steel 52100 SAE Steel. MCDONNELL DOUGLAS FG.1 PHANTOM 1:72 - 58-A06016. Fits FG Modellsport Leopard. Type: Single row deep groove ball bearings. Lubrication: Low Friction Grease. Balls Cage: Low Friction Steel. Balls: High Chromium Steel 52100 SAE Steel. Fits FG Modellsport Monster Beetle. Type: Single row deep groove ball bearings. Lubrication: Low Friction Grease. Balls Cage: Low Friction Steel. 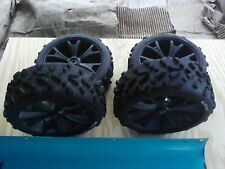 Fits FG Modellsport Monster Truck 1/5 Scale. Type: Single row deep groove ball bearings. Precision: ABEC-1 Quality. Balls Cage: Low Friction Steel. Balls: High Chromium Steel 52100 SAE Steel. Fits FG Modellsport 4WD Monster Competition Baja 1/5 Scale. Type: Single row deep groove ball bearings. Precision: ABEC-1 Quality. Balls Cage: Low Friction Steel. Balls: High Chromium Steel 52100 SAE Steel. 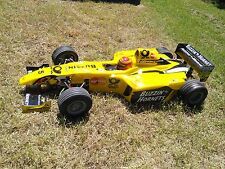 Fits FG Modellsport 4WD Monster Marder Sportsline 1/5 Scale. Type: Single row deep groove ball bearings. Precision: ABEC-1 Quality. Balls Cage: Low Friction Steel. Balls: High Chromium Steel 52100 SAE Steel. T-BAR 1.8 MMFOR F104 - F104-07/18/FG. One Black 8x4 Fiberglass/Nylon Propeller. NASA Airfoils and Constant-Pitch Designs enable this Propeller to. Propeller is totally fuel-proof. Propeller Pitch: 4". One Black 9x6 Fiberglass/Nylon Propeller. NASA Airfoils and Constant-Pitch Designs enable this Propeller to. Propeller is totally fuel-proof. Propeller Pitch: 6". 35CC petrol engine Baja LT LOSI MCD holographic gasoline vehicles. FY 35cc gasoline engine. Engine: 35cc/ cm3. Startup mode: hand easy to start a recoil. KM Rovan HPI Baja 5b 5t 5sc ss losi 5ive-t buggy xl DBXL MTXL RMCK 32CC/35cc Motor Compatible Zenoah Gas Engine G320. May for FG Smartech Carson 1/5 scale MT Truck Buggy Redcat HSP FS Racing. FG Smartech Carson 1/5 scale gasoline cars to brushless Electric Conversion Kit. Are you feeling bored with the noise of gasoline engine?. Also a Extra Receiver Channel 40 no Crystal FP-R7H. Radio is sold for parts' only. Radio, servos receiver parts only.